Crunchy and sweet this stir fry has quickly become a favourite. You can use your favourite veggies or just what’s left over in the fridge that needs to be used up. 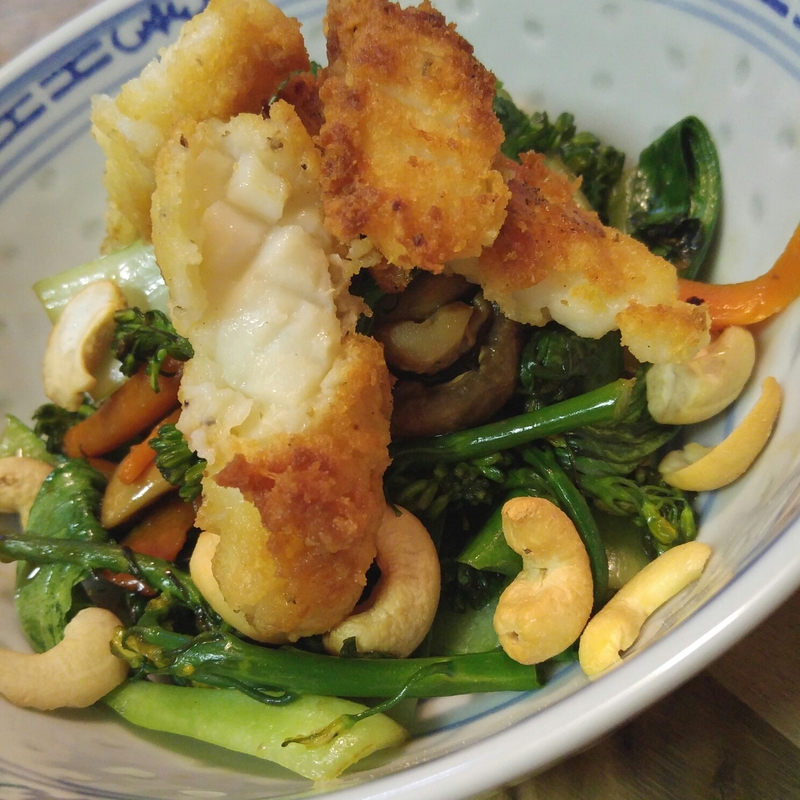 Either way teamed up with lightly battered squid, sweet sauce and cashews you cant go wrong! Prepare the squid by slicing and scoring. Place flour, salt and Tuscan seasoning in a bowl and mix. Dust squid in flour. Shallow fry squid until just golden. Make sure oil is very hot. Set squid aside. In a small bowl mix sugar, fish sauce, sweet chilli sauce and soy sauce. Heat a tbs oil in a wok and stir fry all veggies except the pak choy until just tender. Add pak choy and stir fry for a further minute. Remove from heat and drizzle with sauce. Mix though. Plate up stir-fried vegetables and top with squid and cashews.